CLIMATIC CONDITIONS: Mild winter and warm spring resulting in an early bud-burst, leading into a cooler than usual summer, followed by an early autumn. HARVEST & VINIFICATION: Marion’s Vineyard is a selection of predominantly two Pinot Noir clones; the Pommard and the Abel clone. Hand-picked and careful selection of grapes. 100% de-stemmed, cold-maceration and small batch fermentation in stainless steel vats and left on “skins” for 3 weeks. Aged in 35% new and 65% used French oak barriques for 18 months. TASTING NOTES: Deep ruby red in colour. 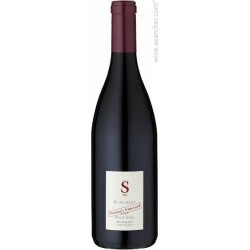 Seductive aromas of wild blackberries and cherries with hints of red roses with underlying earthy spice and toasty notes. 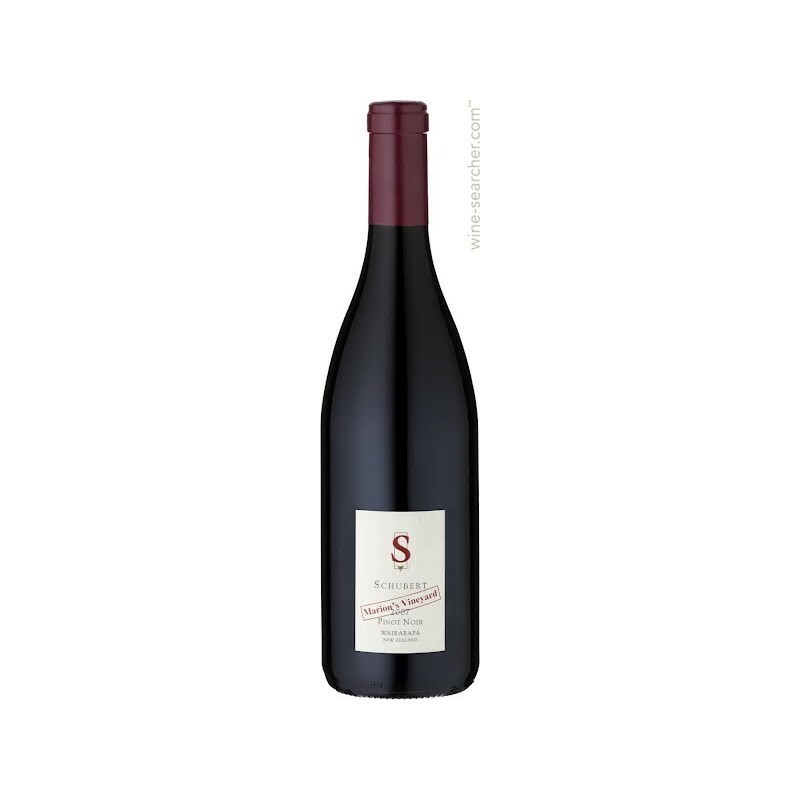 A welcoming entrance of voluptuous wild berries and fleshy plums, underlying forest floor, integrated spices, open fires with hints of toasted hot crossed buns coming together with a savoury mineral core that leads to a long lingering finish. No delivery charge will apply for self pick-up. Whereas, you may enjoy our free delivery service when your order satisfies our minimum purchase amount at MOP500. For purchase amount below MOP500, a delivery charge of MOP50.00 shall apply. Delivery on next working day. 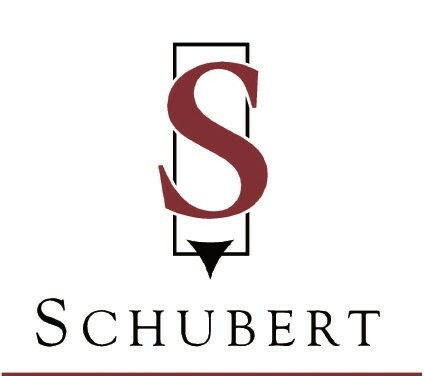 Welcome to SCHUBERT WINES and to our world of Pinot Noir! Kai Schubert and Marion Deimling, both Geisenheim University Viticulture & Oenology graduates from Germany established SCHUBERT WINES in 1998. Having worked with winemakers like Erni Loosen of Dr Loosen Estate, Bernkastel in Germany as well as in various vineyards across the world, their dream had always been to set off around the world in search of the ideal place to plant and produce their true passion – Pinot Noir. After travelling through regions like Oregon, California, Australia and parts of Europe, it wasn't until arriving in Martinborough in the Wairarapa province of New Zealand that Kai and Marion felt they had found what they were looking for. In spring of 1998 they acquired a small established vineyard in Martinborough and 40 hectares of bare land in East Taratahi, just north of Martinborough, , followed by plantings from scratch in 1999 and 2000. SCHUBERT'S philosophy is to craft wines of uncompromising quality that would stand out alongside the finest in the world. 14 hectares of wines are closely planted in the traditional, European style and the unique climate produces low yields. As a result they have been quick to capture the attention of connoisseurs and critics alike for their alluring, internationally award winning wines of outstanding character, complexity, balance and grace. With about 90% the majority of the production is exported to currently 36 countries. Founded in 1998 by Kai Schubert & Marion Deimling, this young winery has fast made a name for itself as one of the finest producers in New Zealand. Their status as a top end producer was confirmed in 2010 when they won the Decanter Magazine's International Trophy for the best Pinot Noir. Their focus is on small volume wines with very low yields showing true vineyard characteristics and with minimal intervention from the winemaker. Cave G, Basement, Va Nam Ind. Bldg. Copyright © 2019 FBL. All Rights Reserved.